The official start to summer is still a week away, but a heat wave will be bringing extreme temperatures to much of our area ahead of that. And if you're hot, the Humane Rescue Alliance reminds you that your pets will be too. WASHINGTON — If you’re hot, the Humane Rescue Alliance reminds you that your pets will be too. The Humane Rescue Alliance Law Enforcement and Animal Control division have issued an extreme weather pet advisory on the District until the mercury begins to dip down to safer levels. “The Washington D.C. region is expected to experience extreme heat at the beginning of the week, with temperatures approaching 100 degrees. It is imperative that all pet owners provide proper care for pets, as outdoor conditions are not appropriate for companion animals.” the advisory reads. Pet owners are being advised to bring their furry friends indoors during the heat wave and to limit their outdoor time to under 15 minutes without supervision. 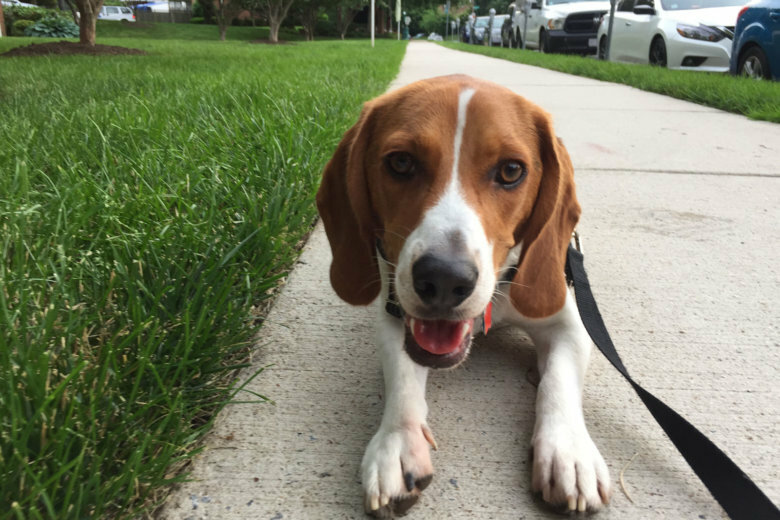 Under D.C. law, pets must either be kept inside or be provided adequate outdoor shelter if the temperature outside is over 90 degrees. Shady trees, a roof, a tarp or tarp-like device are all considered adequate shelter under D.C. law. It is also illegal to leave pets alone in a vehicle in a way that endangers the animal’s health or safety. Keep your pets indoors when temperatures are extreme and in the shade when they are outdoors. Walk your pets early in the morning or later in the evening to avoid the hottest part of the day. Give pets plenty of water to avoid dehydration. When you walk your pet or take your pet outside, carry water with you. Never leave your animals alone in a parked vehicle. Temperatures in cars can increase rapidly and become lethal. Animals with short noses such as Bulldogs, Pugs, Boston Terriers and Persian cats, are especially vulnerable in the heat. Dogs and cats cool themselves by breathing through their mouths, but those with flat faces cannot cool as quickly and need extra attention. If your pet is panting excessively, drooling, struggling to walk, is lethargic or has bloody diarrhea or vomiting, know that that these are potentially signs of overheating. Windows in the home that are open should have screens. Pets can fall out of open, unsecured windows. Be careful with dogs on asphalt in the heat. Not only are their paws sensitive but because their bodies are closer to the asphalt, they can overheat more easily. As always, if you think your pet is in distress due to the heat, call your veterinarian as soon as possible. If you are hot, your pet is too! If anyone sees an animal in distress, including an animal that has been left outside in extreme temperatures, the HRA is asking them to call 202-576-6664 to report it.